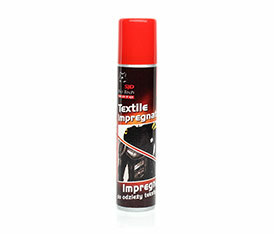 Impregnator designed for textile clothing. Refresh clothes and waterproof while maintaining breathability properties. Shake before use. Apply directly on clean, dry clothes from a distance of 20cm. Leave to dry.